UK: Herbert Jenkins, 1938. 1st Edition 1st Printing. Hardcover. Very Good+/Very Good. Summer Moonshine by P.G. 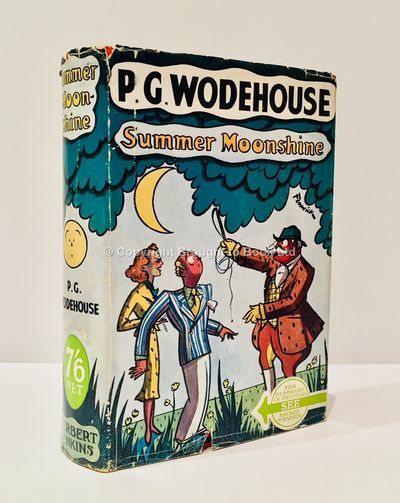 Wodehouse First Edition Herbert Jenkins 1938. No inscriptions, unblemished throughout. Covers VG+ in original pictorial VG dust jacket, priced 7/6.